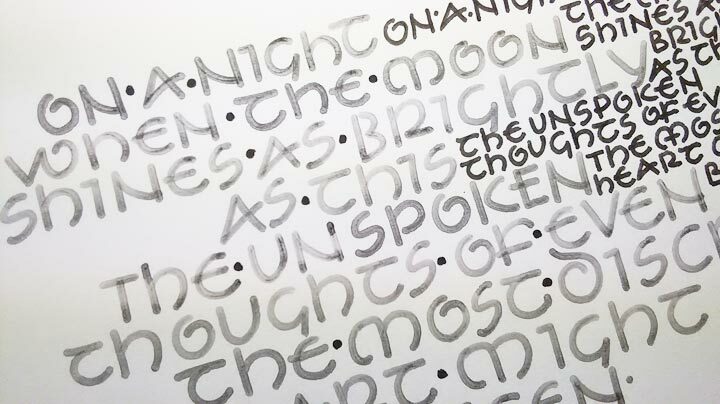 Use a mono-line pen to explore a contemporary version of the centuries-old uncial alphabet. The rounded end of the pen facilitates the robust architecture of these generously proportioned capital-like letters, based on the work of Austrian calligrapher, Friedrich Neugebauer. Tweak this modern uncial by sloping it, or squaring off letter terminals. Try it smaller with a fine-line pen or pointed pen for correspondence or artist books. 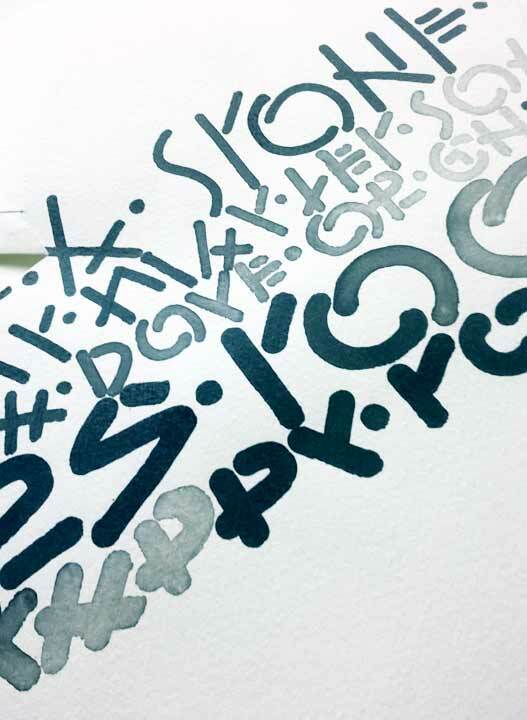 This will be a hands-on experience for ALL levels of calligraphic skill. Think of it as permission to spend a Saturday afternoon messing about with pens! Bring your sense of adventure and these simple supplies: transparent layout paper like Borden & Riley #37, black ink, pen holder, Speedball B-3 nib OR Brause Ornamental Redis 2mm nib, (Jean prefers the Brause and will bring some for sale) water container, paper napkins, sharp pencil, fine-line black pen like Pigma Micron.01. OPTIONAL: pointed pen, pan watercolors, mixing brush. Jean will bring a few extra materials for visitors. An artist and calligrapher for 39 years, Jean is recognized for alphabet design and innovative one-of-a-kind artist books. Her paintings and drawings include watercolor, colored pencil, acrylic, pastels and silverpoint. She has traveled throughout the USA and Canada, lecturing and teaching a variety of calligraphy and book arts workshops. She has been a 20-year faculty member at Minnesota Center for Book Arts in Minneapolis, and has taught at 17 international calligraphy conferences. Her work has appeared in lettering arts books, calligraphy instruction manuals, calendars and in the greeting card industry. She and her husband Phil, live in Savage, MN. Since 1999, Jean has also been involved with the healing art of Reiki, as a practitioner and teacher.